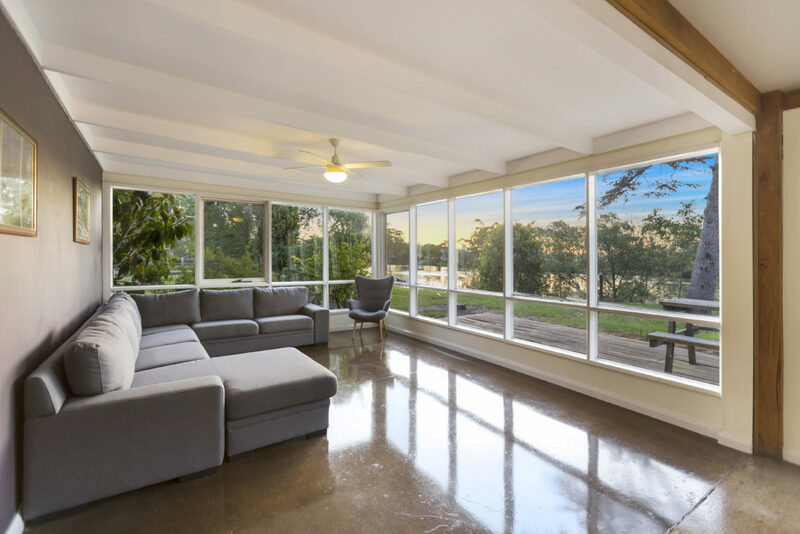 Located on the world famous silt jetties of the Mitchell River, this magnificent property is in a class of its own. 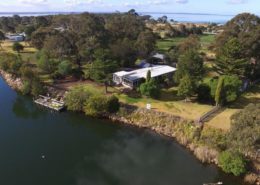 The property boasts amazing views of the bluff cliffs and has a deep water private jetty that can moor a large boat also with the added convenience of power, water & lighting. 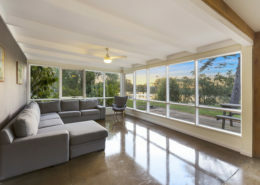 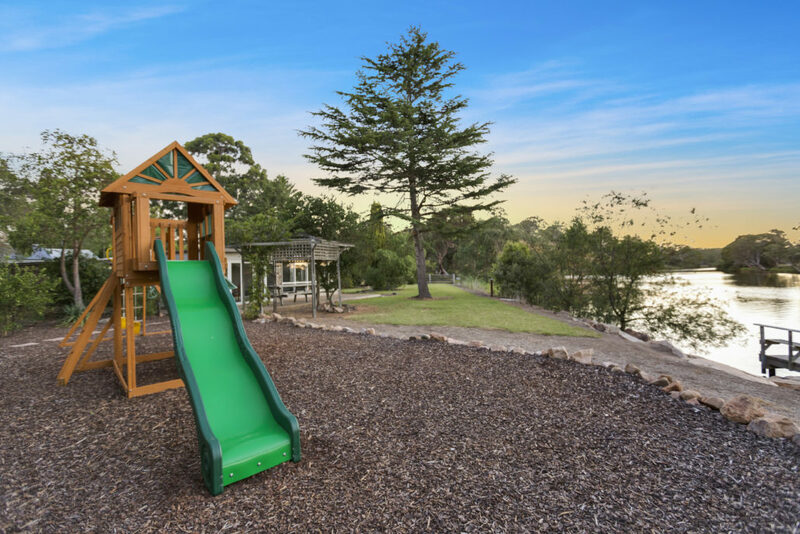 The beautifully renovated home (originally built in 1905) is constructed close to the river, with full river frontage and has expansive views of the mighty Mitchell River and the magnificent colours of The Bluff cliffs. 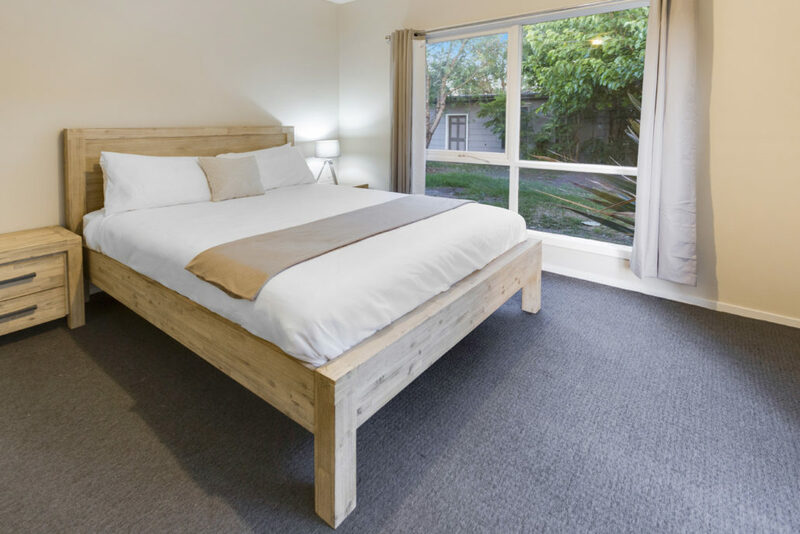 ‘Bluff View River House’ offers 3 bedrooms to accommodate up to 8 people with two queen beds and two bunk beds. 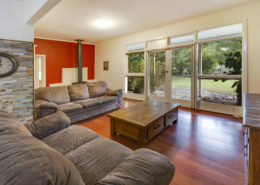 An additional bungalow is also available to sleep an additional 4 persons. 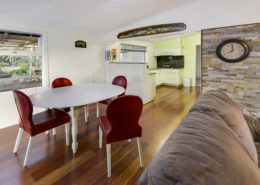 Bairnsdale & Paynesville are only a short 10 minute drive from ‘Bluff View River House’. 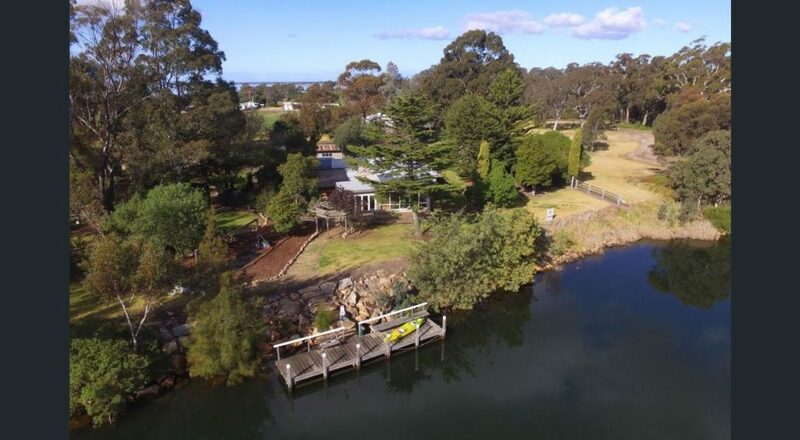 The local boat ramp is less than 500m away and Lake King is also only a 500m stroll. 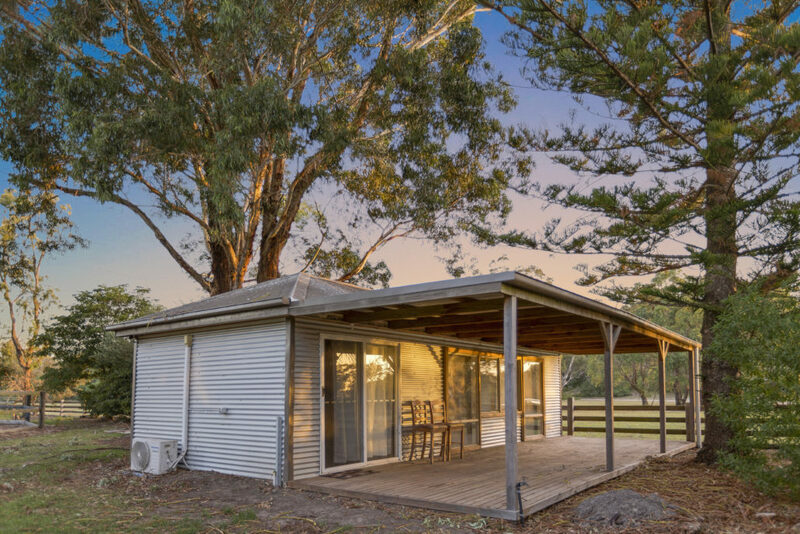 Even closer is the walk to The Bluff lookout to see the magnificent panoramic views of the Gippsland Lakes region from this amazing vantage point and well worth the effort for an early morning stroll to catch a gorgeous sunrise. 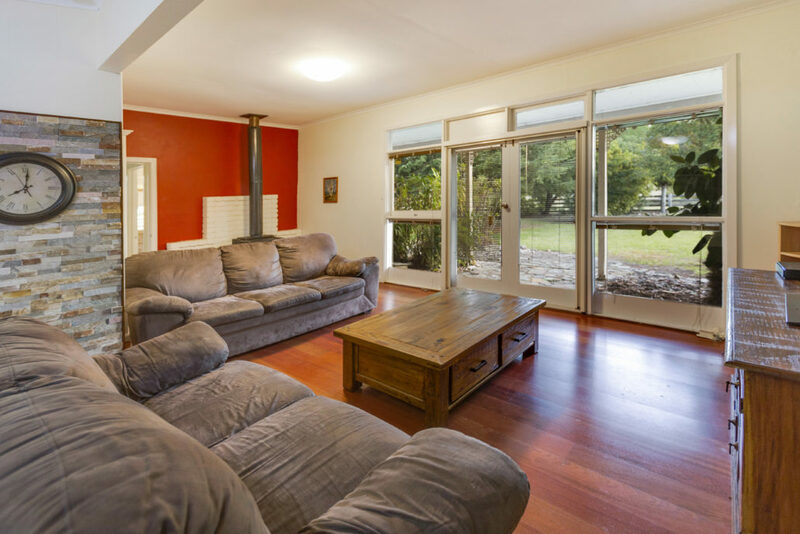 With three large bedrooms and an extensive open plan lounge/dining area, this home has been designed for easy living for all the family. 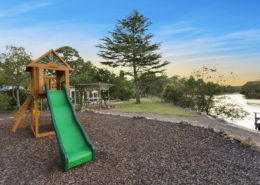 It also boasts a large rear deck where you can sit and listen to the sound of birds and the splashing of waves by the nearby foreshore of Eagle Point Bay. 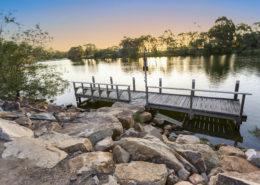 Swimming, fishing, and boating can all be enjoyed a stone’s throw away. 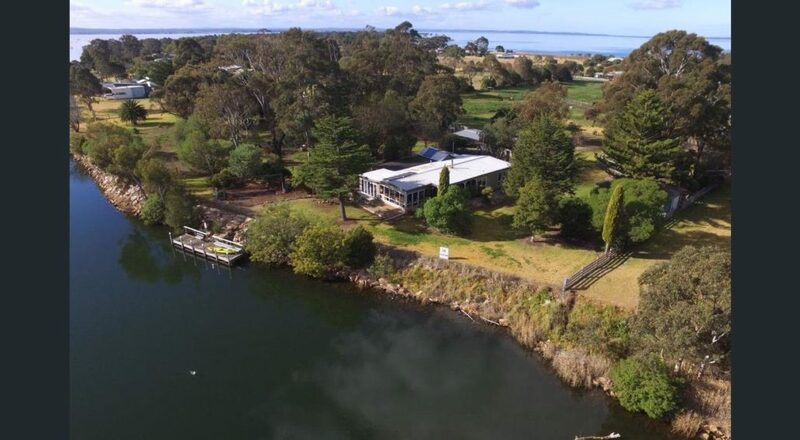 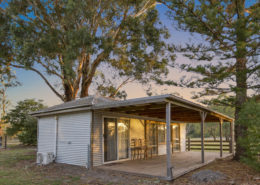 This river frontage property is sure to impress, set in a private serene location, sit back, relax and watch the birdlife around the river while fishing from the private jetty. 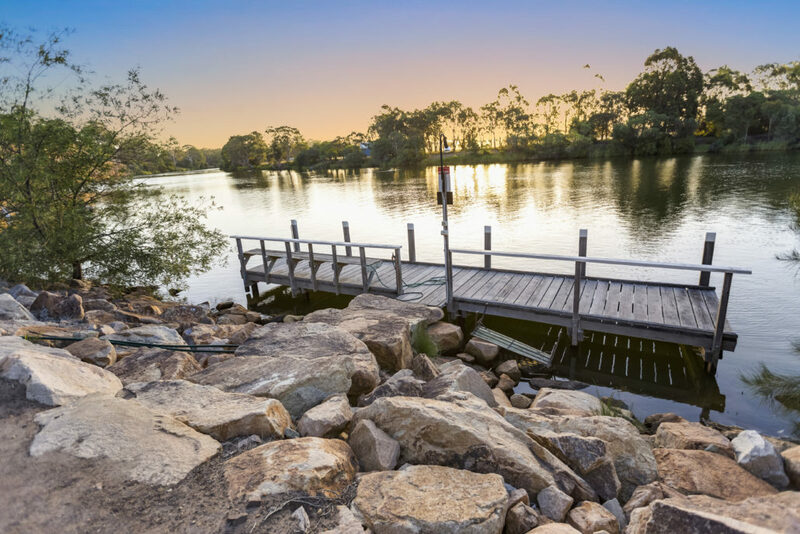 If you have been looking for an exclusive property on the river with its own private jetty, give us a call today to book your holiday in this magical location. 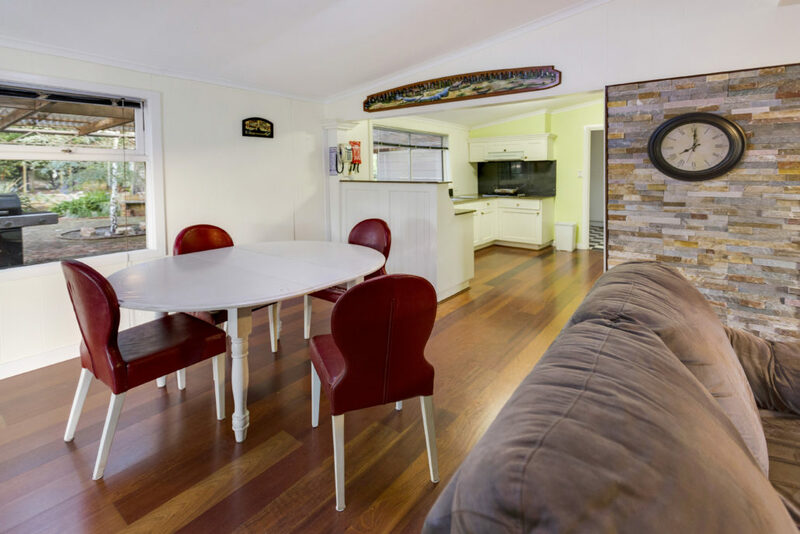 Full kitchen, Open plan Dining area, TV, WIFI, Fetch (Foxtel Channels), Bedding, Towels, Oven, Microwave, Fridge, Cutlery, Crockery, Gas BBQ, Pizza Oven, Iron, Outdoor setting for up to 12 GUESTS. 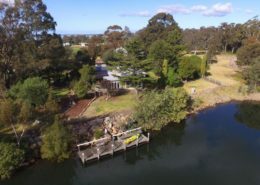 River Front – PLEASE NOTE: This property has 100m of river frontage and guest have direct access to the river along this entire length. 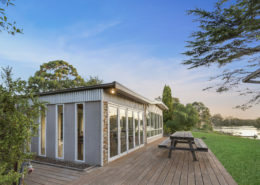 The river is unfenced and guest who stay at this house accept full responsibility for the safety and wellbeing for themselves and any children staying with them upon booking this house. 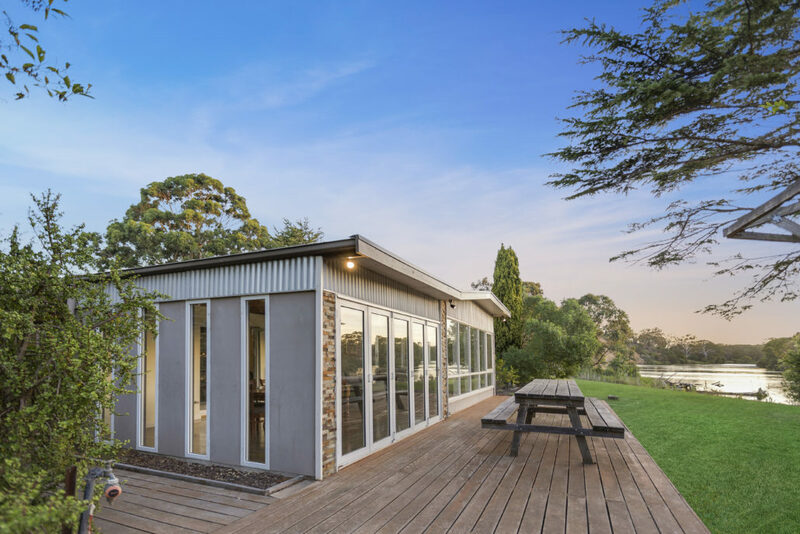 Boasting a large rear deck where you can sit and listen to the sound of birds, swimming, fishing, and boating can all be enjoyed a stone’s throw away. 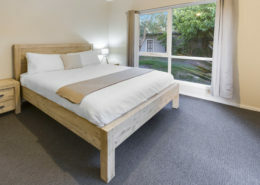 Sleeps 2 - 12 guests comfortably.